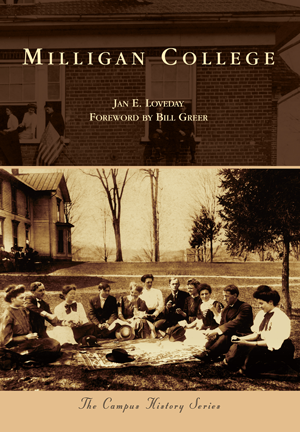 Milligan College began as an early 1800s community effort to educate young people in Northeast Tennessee, and it has grown to serve individuals from around the globe. Established by church members along the waters of Buffalo Creek between Johnson City and Elizabethton, the school sought to equip its pupils to become productive citizens with a mission-minded worldview. Its graduates have had positive influences throughout the world as servant leaders, and Milligan remains committed to the development of intellect, body, and spirit, with a devotion to personal attention and a Christian, liberal arts education. The institution has grown from a single creek-side building with a handful of students to a beautiful, extensive campus offering more than 25 majors, master's programs, and degree completion options to over 1,100 traditional and nontraditional students. US News & World Report consistently recognizes Milligan as one of "America's Best Colleges." A native East Tennessean, author Jan E. Loveday is an artist and educator who celebrates her Appalachian roots. She has served and taught at various Christian institutions, including Milligan, throughout her career. The photographs chosen from the college archives tell the Milligan story and reflect an appreciation for how education changes lives.